Lol that's putting it lightly. they can build a damn good expressway, but freeway? An urban freeway, sure. But rural? No, Ontario's kind of got that in the bag. With that said, I would say the Europeans probably have the best freeways, and they usually have pretty narrow medians. Doubt there's really any correlation, especially as Ontario uses plenty of narrow medians in metro areas too. Freeway Franks does a tour on ON-6. European farm sizes used to be pretty small during the freeway construction era, so they wanted to take as little land as needed. At that time the output per hectare was also much lower than present-day, so they needed large farming areas to feed the population. 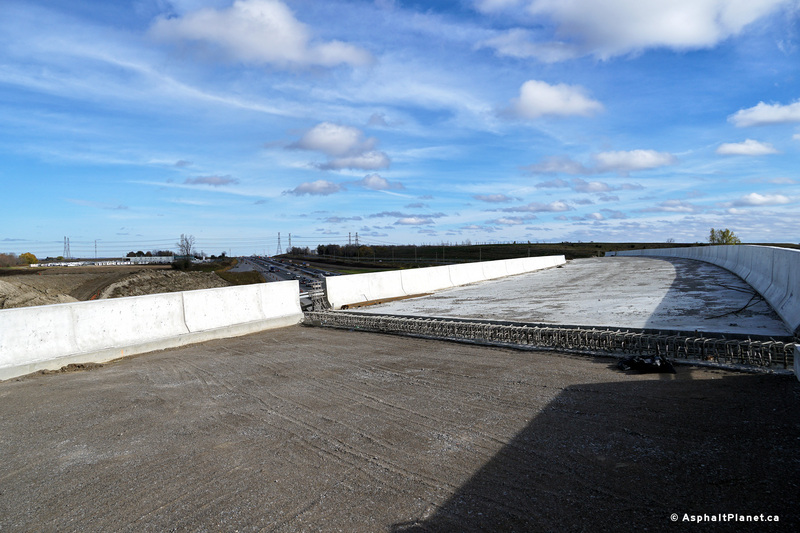 The higher land values also made a median barrier instead of a wide grassy median more profitable despite the higher construction cost. Canadian farms are larger than European ones, the average farm size in Saskatchewan is over 700 hectares, while it is only some 55 hectares in France and Germany and that is an historic high as farms became mechanized and consolidated into larger operations over the past 50 years. Wide medians were never common in Europe, even in sparsely populated rural areas of France and Spain they typically don't have a wide median. There are some wide medians here and there but they aren't the norm. 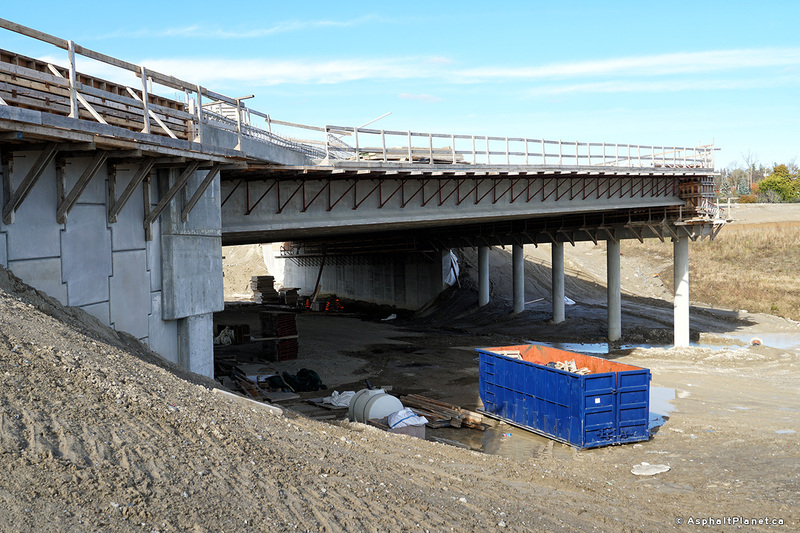 They diverted traffic to the eastbound collector lanes a few weeks ago through the Mavis Road interchange. For whatever reason they only made the temporary ramp to the Express Lanes between Mavis and Hurontario a single lane ramp. 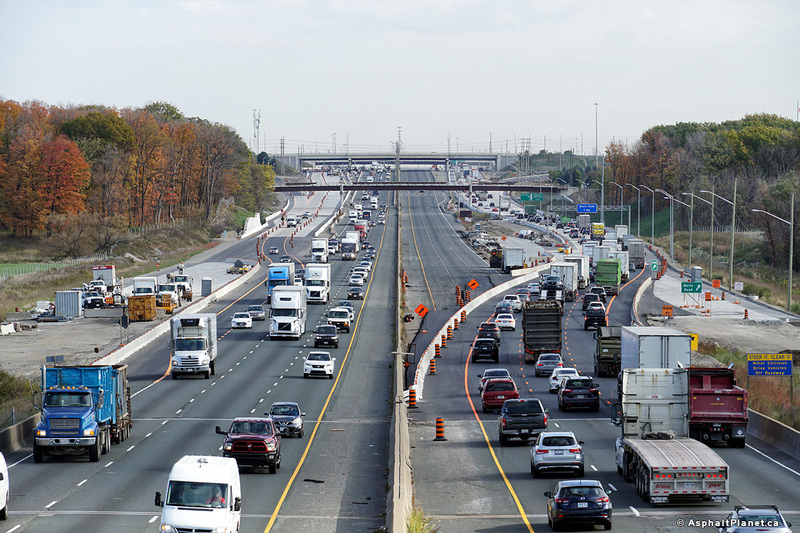 I don't know why they thought that would be a good idea, traffic is totally snarled on the eastbound 401 for pretty much all hours of the day now. 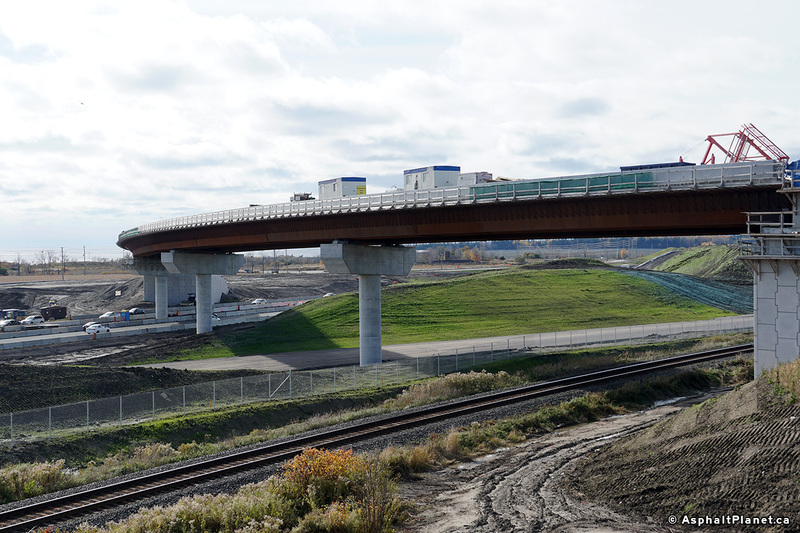 They made the same mistake during the project to open extend the collectors through Hurontario a few years ago and that was a nightmare too. The ramp to the westbound 403 from the eastbound 401 also opened last month. 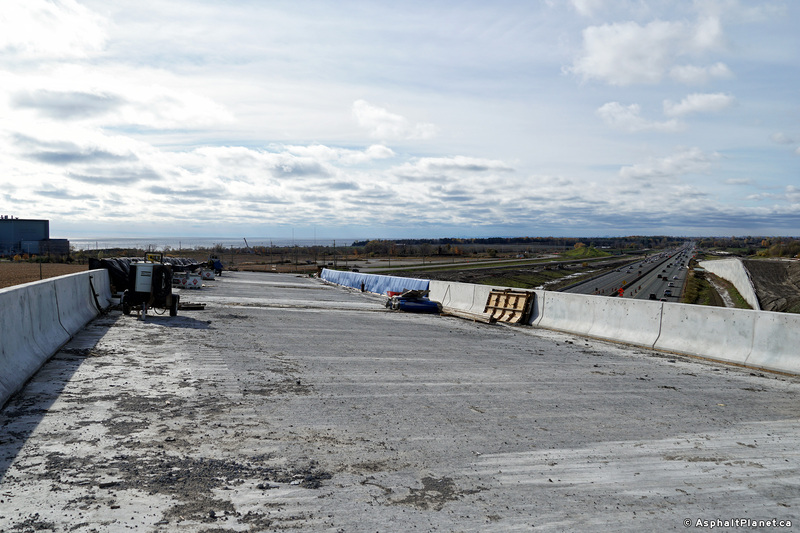 they still haven't surfaced the opposite ramp from the eastbound 403 to the westbound 401 yet, so it'll probably be a few weeks before that connection finally opens to traffic. From what I understand they are planning on opening the westbound collector lanes through Mavis this weekend. If the weather is decent I think I'm going to go out that way on Sunday and take a look. 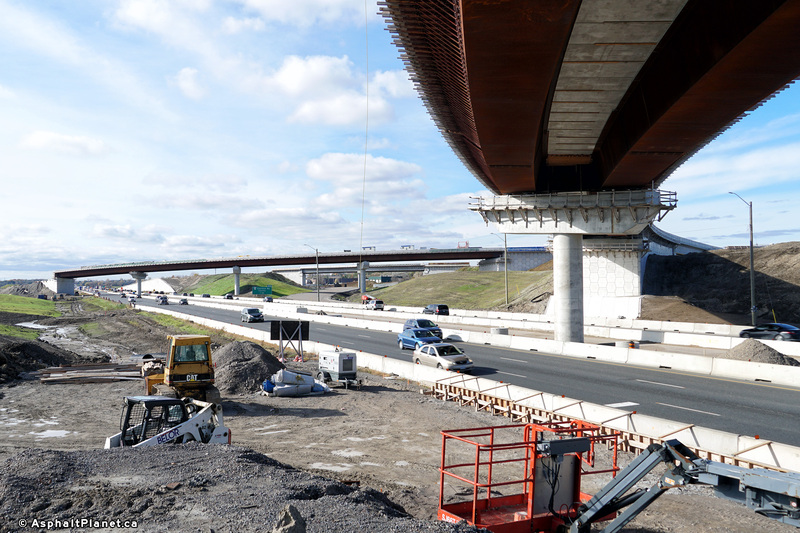 Well this is frustrating: https://www.therecord.com/news-story/9046662-new-highway-7-between-waterloo-region-and-guelph-delayed-again/. I hope this project doesn't meet the chopping block. Already approved transportation infrastructure projects should not be changed / cancelled by a new government. It should not be a partisan issue. I might just be being hopeful here, but my thought is that Highway 7 New is going to go to construction, the PC's are probably just flexing their muscles a little bit and are going to make both the NDP and one green representative use up a little bit of political capital to get it built. But, who knows, that's just my hope. 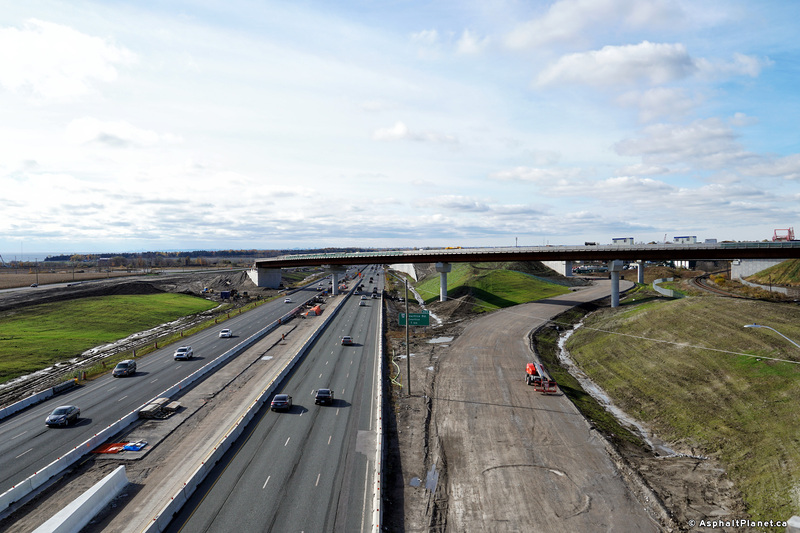 Back before McGuinty took his first term, the then Eve's government had started widening projects for both Highway 12/48 near Beaverton and Highway 7/35 near Lindsay that the Liberals never saw to completion, so it's not as if partisanship in pavement politics is new. Unfortunately. And now Asphalt Highways does a segment on Ontario 403. From what I've heard basically every expansion project is under review now - twinning Hwy 69, the 417 extension, KW-Guelph freeway, etc. If you're dealing with a deficit it's due diligence to take a look at everything. The other cynical approach to it is by saying they're reviewing it given the new government the opportunity to announce it all over again. I rather wish the current government would review the system for distribution of MTO tender drawings. The annual subscription fee of $250 is now gone, but it is still necessary to prove licensure or incorporation and good standing with tax authorities. Access to the drawings should be decoupled from entitlement to tender, as is increasingly the norm in other Canadian provinces, most US states, and an increasing number of foreign countries. 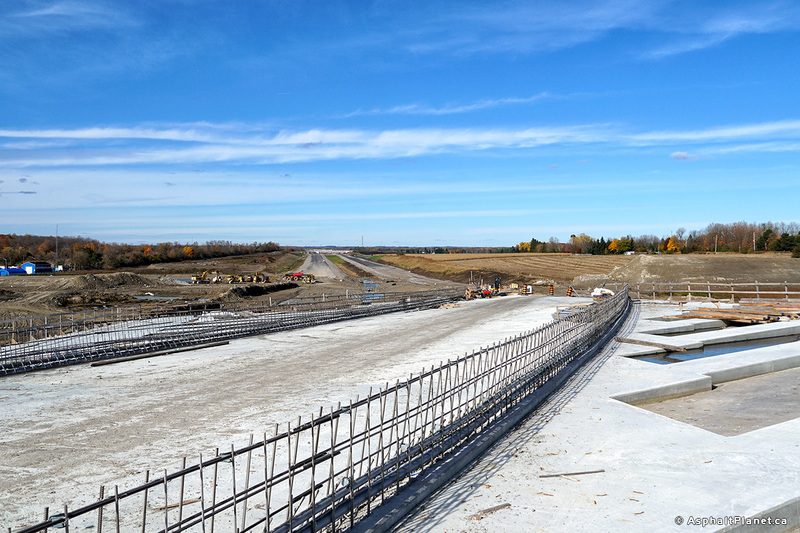 Land acquisition underway for Hwy 400 expansion in Barrie. 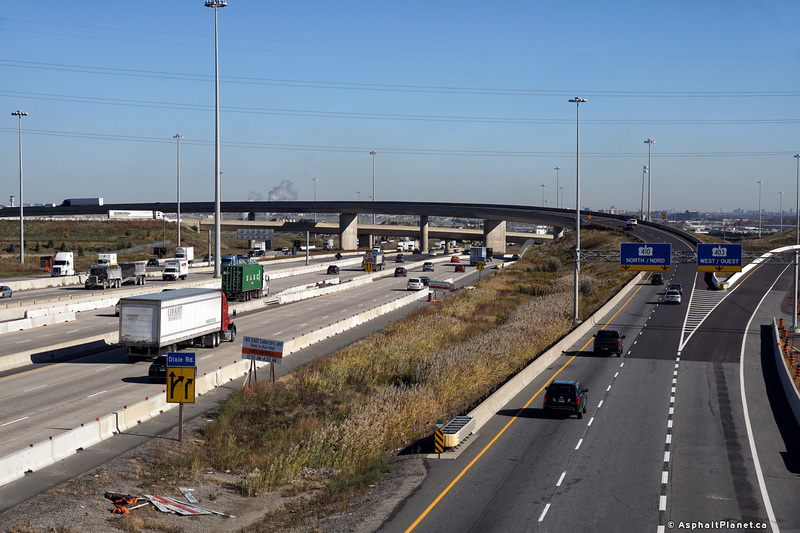 I don't have any pics, but there's been some serious construction action for the long awaited Hwy 427 extension as we speak. I notice a roughed in ramp from EB Rutherford to SB 427. 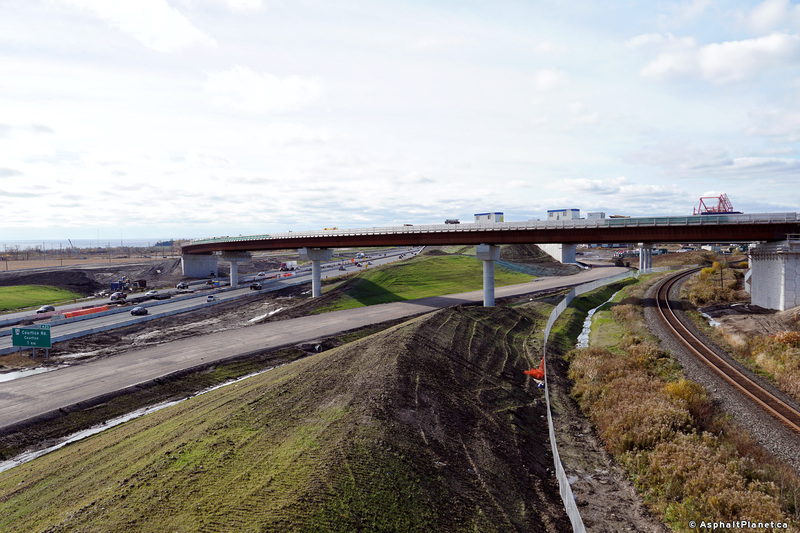 As well as zenway having a roughed in temporary alignment south of the current intersection with Zenway and RR-99, which is obviously done to build an overpass for Zenway. I haven't looked at the drawings in years, as in 2010 or so. But if I recall, is the plan to close off access to Zenway permanently and have Langstaff as the interchange? I know it sounds like a n00b question, but I'm just trying to make sure. It's always worth asking, projects change all the time - especially alternative delivery ones like this. 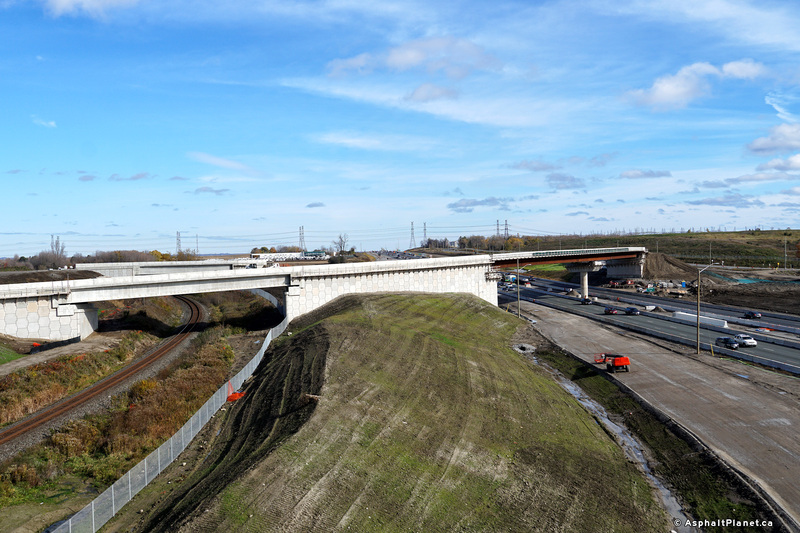 At this point though those aspects of the project have not changed - still plan to grade separate Zenway with new interchanges at Langstaff, Rutherford, and Major Mack. 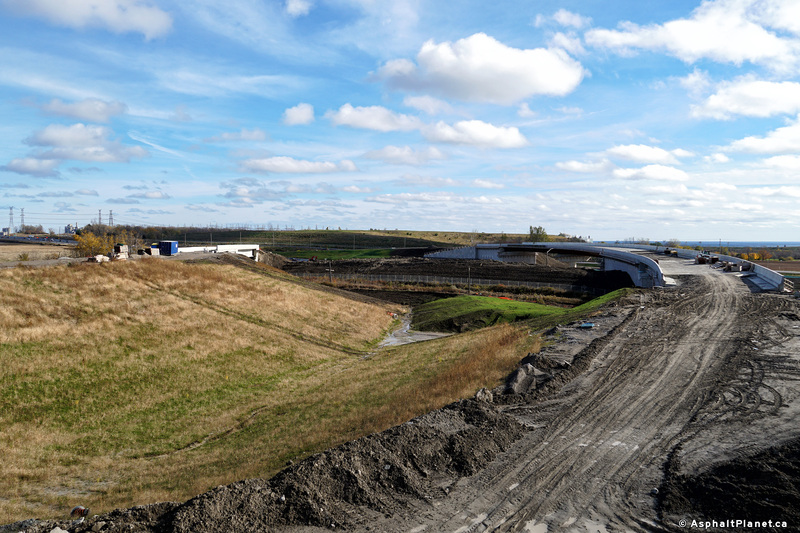 Huron Church Road (Hwy 3) between the EC Row and the Ambassador Bridge is gonna suuuuuuuuuck this summer. Visiting Ontario's oldest bridge, the Lyndhurst Bridge. Located in the eastern part of the province, this stone arch bridge was built in 1857. Come travel the Loyalist Parkway, a scenic drive near Lake Ontario between Trenton and Kingston, Ontario.